When Do Adoptions Go Wrong? We’ve all heard the adoption horror stories. A child is ripped from the only family she’s ever known because a birth parent contested the adoption. A family puts their special needs little boy on a plane and returns him to his birth country because his problems are far more than they can handle. These unfortunate stories bring tears to our eyes and leave us wondering what went wrong. Luckily, these situations are not the norm. The majority of adoptions today are successful. But why do some fail? When do adoptions go wrong? Let’s take a look at reasons why an adoption might not work out. Failed matches – One of the most common reasons for an adoption not happening is a failed match. This occurs when an expectant parent chooses an adoptive family and then decides to parent. Oftentimes, this happens before the baby is born or shortly after birth. Contrary to what you sometimes see on television and in movies, a birth parent can only change his or her mind before an adoption is finalized. Once both parties go to court and sign the appropriate papers, the birth parents have no legal claim to the child. Disrupted adoptions – A disrupted adoption typically happens with older children adopted from foster care. Sometimes, the adoptive parents are not adequately trained or properly prepared to care for kids with challenging physical, mental, or emotional issues. As a result, they decide not to proceed with the adoption. 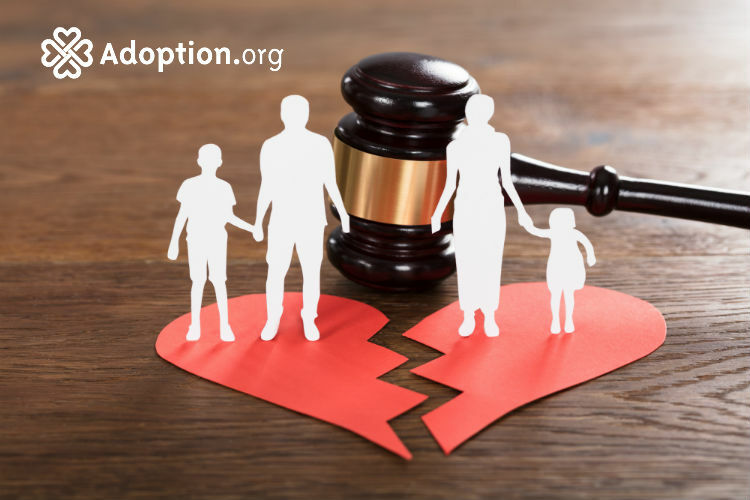 Disrupted adoptions occur after a child is placed in a home but before the adoption is legally finalized. In these cases, the child is placed back into foster care or with new adoptive parents. Dissolved adoptions – In these cases, the adoption has already been legally finalized. The relationship between the adoptive parents and adoptive child is severed, and the child returns to foster care or is placed with new adoptive parents. This is very rare and typically only occurs in extreme cases where adoptive parents are unable to care for special needs children due to lack of information or resources or because of high costs. Contested adoption – When one biological parent intends to place a baby for adoption but the other is against it, a contested adoption can occur. Sometimes the expectant father is unaware the expectant mother is pregnant. Other times, he believes he was coerced into the adoption or has changed his mind. Or, the person believed to be the birth father was not the correct man. If the biological father refuses to terminate his parental rights and is interested in parenting the child himself, all parties must go to court. The judge will then determine whether or not to stop the adoption based on the law and the expectant father’s situation. No one wants to be part of an adoption gone wrong. So what can you do to minimize potential problems? First, all parties should work with a licensed, reputable agency that can provide necessary education, training and counseling. Expectant parent counseling is critical to ensure those considering adoption fully understand what that decision entails. Adoptive parents should also be educated on how the adoption process works and receive important details about the child and his or her biological parents, including a comprehensive social history report. With domestic infant adoptions, it’s also helpful for expectant parents and hopeful adoptive parents to meet prior to the baby’s birth, so they can ask each other questions and be certain the situation is a good match for everyone involved. And, finally, the birth dad should always be located and involved with the decision-making process. To learn more about adoption and possible disruption and dissolution, go to Adoption.com.